High performance and craftsmanship immaculately blend on this journey through Italy’s "Motor Valley" in the northern region of Emilia-Romagna, celebrating 350 collective years of the founding of the world’s most revered motor brands in history: Maserati, Ducati, Ferrari, Lamborghini, and Pagani. A luxury Italian motor purrs to life, as engineers turn into artisan craftsmen, channeling the Italian customs of influential design and inherited techniques. Listen to the engines rev to life in the factories they are made in and fly around the race track at top speeds in a specially crafted Ferrari. 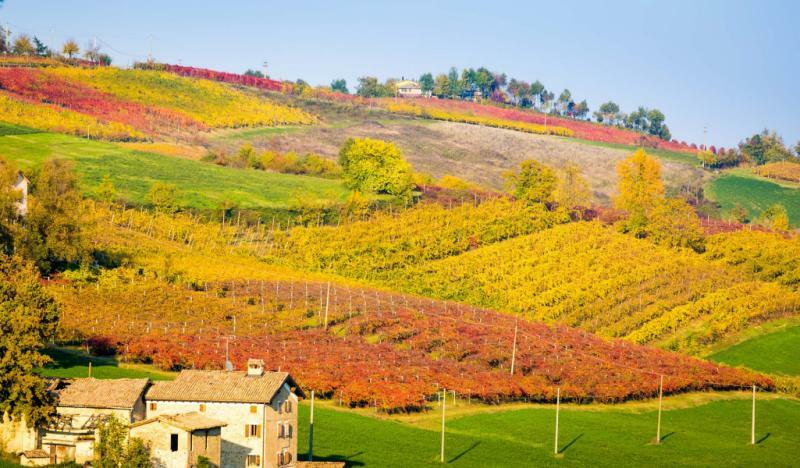 On this 10-day tour, experience the unparalleled adventures that Italy has to offer while discovering the regional cuisines of Emilia Romagna. The Italians are world renowned to produce some of the most desirable cars in the world that display a superb combination of design, performance, and luxury. Their northern neighbors in Germany believe that the prestigious title of world's leading auto manufacturer belongs to themselves. Acclaimed German brands such as BMW, Mercedes-Benz, Audi, and Porsche exemplify the "form follows function" principle which the Germans champion, striving for engineering excellence and high-quality functionality. To explore Germany's display of motor brilliance, consider browsing our Germany tours to craft your own unparalleled experience. A history rich in fashion has shaped the aesthetics of Italian traditions in cuisine and art, ensuring beauty in every bite and meticulous attention to every detail in the intricate workings of the legendary sports cars and motorcycles. 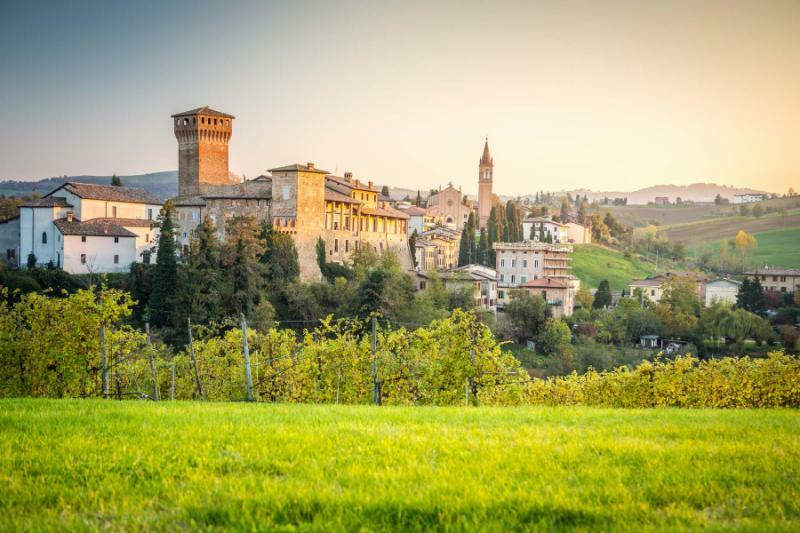 Your 10-day Italy tour celebrates the gastronomy of Emilia-Romagna and the rich histories of Ducati, Maserati, Ferrari, Lamborghini, and Pagani. The adventure begins with your arrival at Florence Airport. 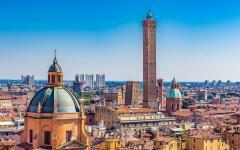 Your private transfer greets you at baggage claim and escorts you north to the historic city of Bologna. Settle into the comforts of your luxury hotel located near the city center before making your way to a private kitchen to meet Le Sfogline, traditional pasta makers. 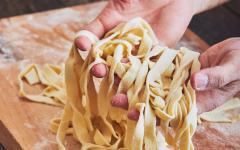 Learn the art of crafting delicious tagliatelle, lasagne, and tortellini under the attentive guidance of professionals. Next, you venture to the Maserati factory and museum. Explore the timeline of one of the oldest racecar companies in Italy before visiting the factory to observe the assembly. Step into a Maserati in the afternoon and traverse the countryside to see the gorgeous landscape and feel the power of the car beneath you. 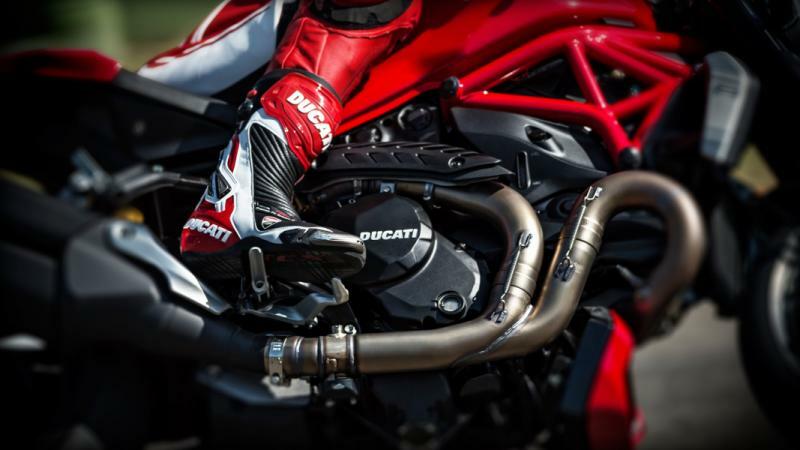 Your guide leads you to the Ducati factory for an adventure on two wheels. Follow the timeline of the motorcycle company from its inception to becoming a world-renowned racing icon. 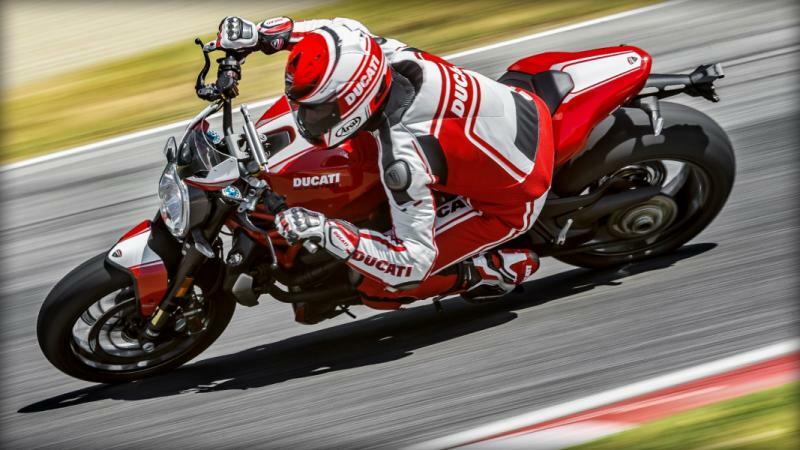 After visiting the factory, you mount a bike with a professional driver to test the speed and maneuverability of a Ducati on a racing circuit. Take a break from the racing circuit with a visit to a Parmigiano Reggiano cheese factory to learn the secrets of producing Parmesan cheese. Sample the luscious flavors and delectable textures in the tasting room before continuing on a balsamic vinegar factory located in an early 20th-century villa. 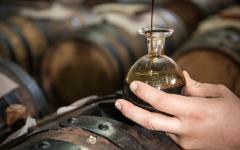 Sample the distinctive aged balsamic vinegar, which reaches up to 50 years old. 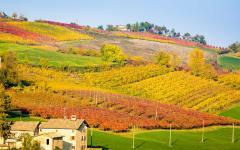 Next, your guide leads you to the town of Maranello, located outside of Modena. 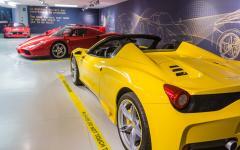 Explore the Ferrari complex on a guided tour for exceptional historical context and an interactive experience. Enjoy a Formula 1 simulator and test your skills as a crewmember of the Pit team before returning to Bologna for the evening. The following day takes you to the Lamborghini factory and museum for insight into the beginnings of the magnificent racecar designed to rival Ferrari. Experience the factory floor and test-drive the effortless ease and robust power of the car on a track. 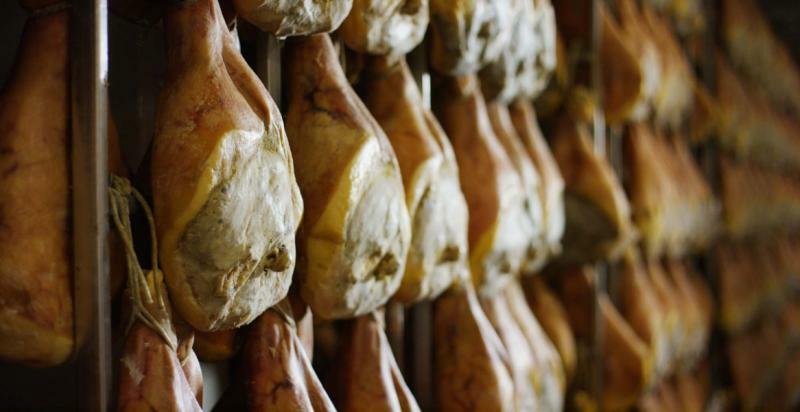 Continue to a private farm to learn about the process of crafting Prosciutto di Parma, Italy’s most famous pork product, complete with an enticing tasting. 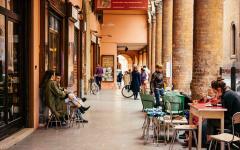 Explore the markets of Bologna with a guide. After selecting your ingredients, you reach a commercial kitchen for a private cooking lesson based on the staples of Emilia-Romagna cuisine, considered Italy’s most prized gastronomic treasure. 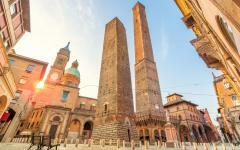 In the afternoon, you stroll through Bologna on a marvelous historical walking tour. 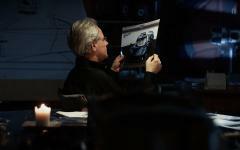 Then, you travel back to Modena for an unforgettable tour of the Pagani factory. 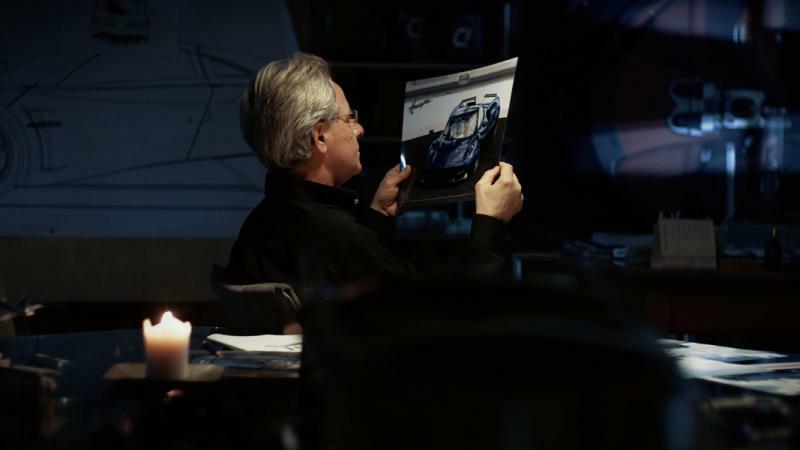 Learn how each car is handcrafted, allowing the company to make only 20 cars a year. The remainder of the day is yours to relax in the comforts of Bologna or explore the surrounding region of Emilia-Romagna. You venture to a racetrack in Bologna and step into you preferred racecar of a Ferrari, Lamborghini, or Maserati. Under the guidance of a professional driver, you take the wheel, put the pedal to the metal, and race around the track to culminate your racing tour. On the final day, your private transfer greets you at the hotel and escorts you to Florence Airport for your flight home. 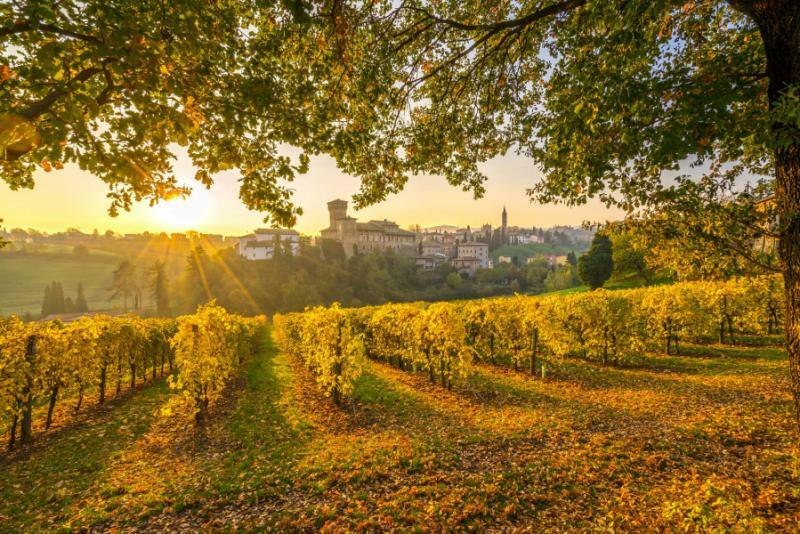 For additional ideas and inspiration to craft your dream Italy vacation, consider reading some of our travelers’ Italy travel reviews or visit The Three F to learn more about Italian food and automobiles. 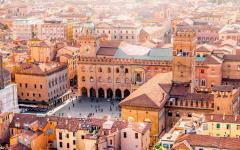 Bologna is a city of historical majesty and culinary artistry. 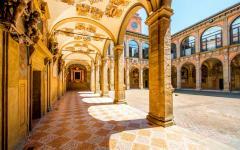 The medieval arcades contrast the youthful energy emanating from the 11th-century University of Bologna, the oldest university in the world. Cafes set out tables and chairs along the cobbled lanes, offering patrons views of the passersby and the boutique shops nestled into elegant, historic quarters. Your flight lands at Florence Airport. 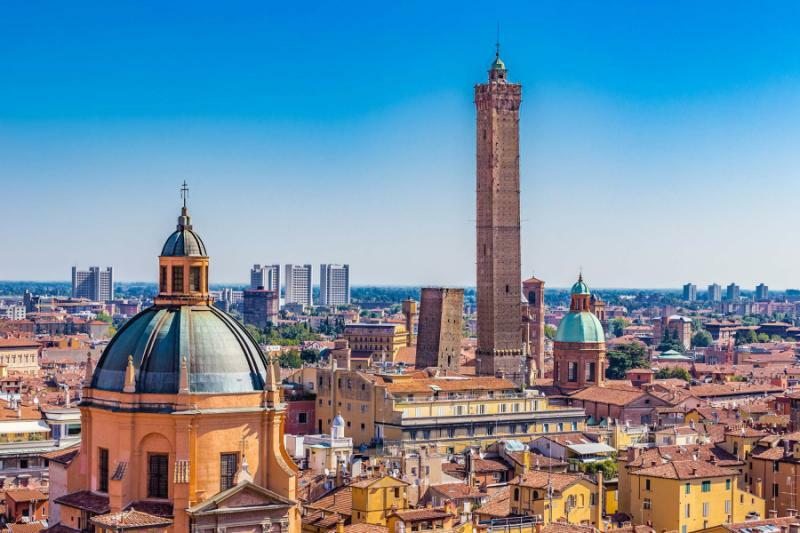 Your private transfer greets you upon arrival and escorts you north to the vibrant city of Bologna, the capital of the Emilia-Romagna region. The scent of espresso fades beneath the drifting aroma of sizzling sausages. The Neptune Fountain splashes in a brilliant display of grace and power, embodying the beauty of the 16th-century artistry. Shops along Via dell’Indipendenza offer marvelous window displays promoting fashion and design, turning the window into a work of art. 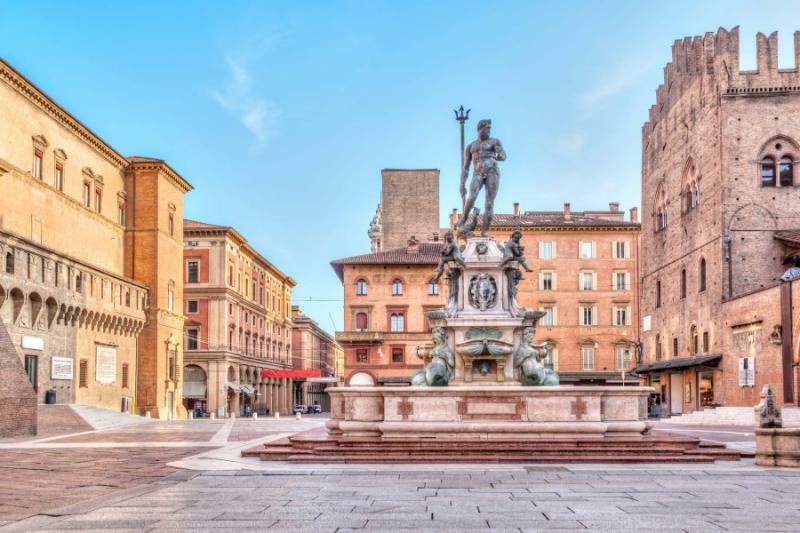 You take the time to settle into your luxurious hotel near the beating heart of the city at Piazza Maggiore and the adjoining Fountain of Neptune. 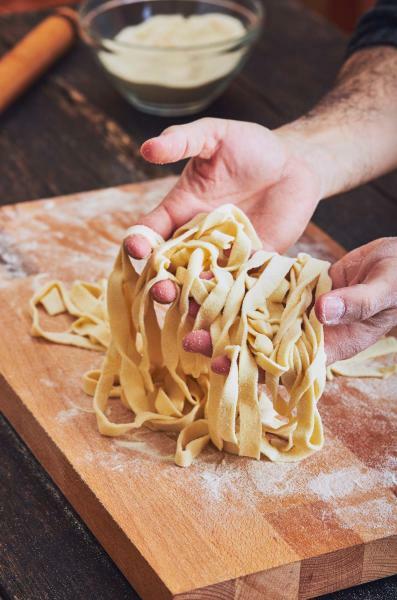 Your private transfer greets you in the lobby and leads you to a shop famous for making perfect hand-made pasta for generations, crafting regional favorites, such as lasagne and tagliatelle. Your pasta instructor welcomes you with open arms and a large smile. The scent of flour fills the gallery. 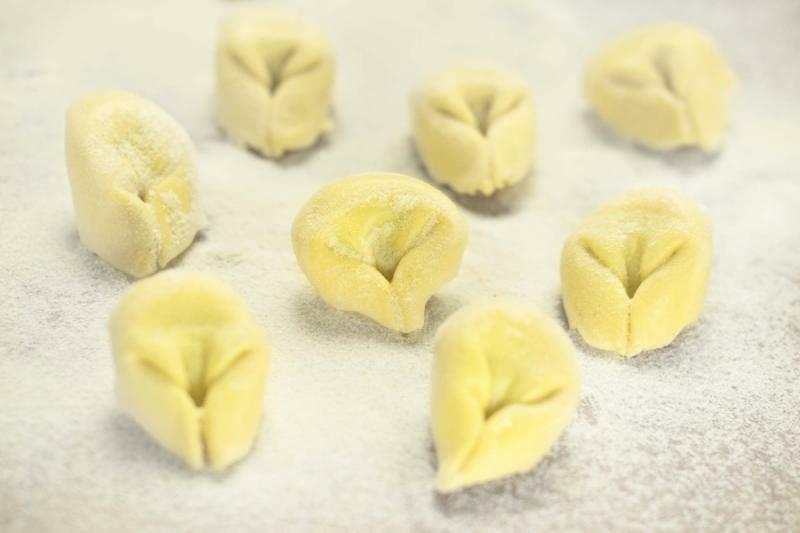 You learn how to make pasta from “Le Sfogline,” traditional pasta makers who introduce you to the art of crafting tortellini. The legend states that the tortellini was shaped after the belly button of Venus, inspired by the goddess in Botticelli’s painting, The Birth of Venus. You watch as your instructor quickly makes the dough by whisking eggs inside a volcano of flour, then kneading the dough by hand until it is no longer sticky. 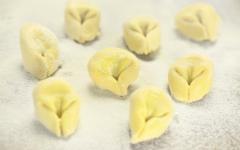 You help roll out the dough, eventually imitating your teacher in the way she pinches, twists, and folds the dough to craft a perfect tortellini. The aroma of zesty lemon drifts through the aisles of the historic Quadrilatero Market outside of Piazza Maggiore. Food stalls and vendors pack the narrow lanes winding away from the historical heart of the city framed by medieval arcades. Wine shops place bottles in the window alongside produce stands with boxes of grapes and pears. Your guide greets you after breakfast and escorts you to the Maserati factory in Modena to follow in the path of the luxury car with more than 100 years of history. 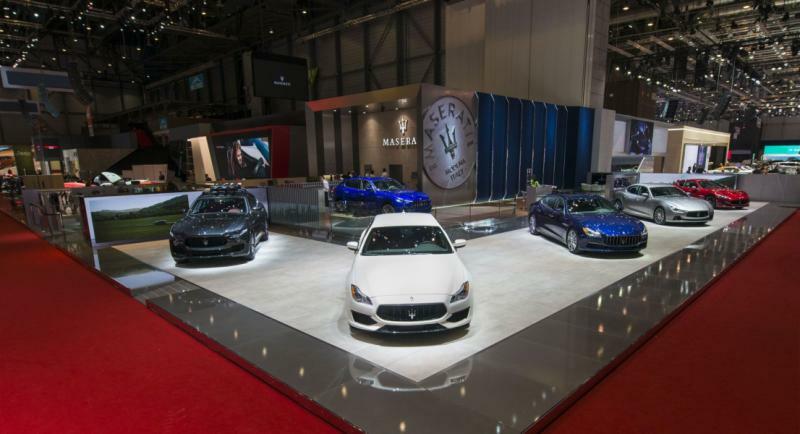 Alfieri Maserati and his brothers started the company in 1914 and began utilizing their mechanical experience in the 1920s after buying a small racecar manufacturer. The brothers modeled the symbol of the trident after the statue of Neptune in the center of Bologna. The gallery inside the museum houses 19 vintage cars, including the 1934 Maserati 6C-34, the winner of the Modena and Naples Grand Prix. 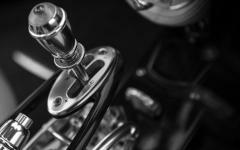 The six-cylinder inline engine offered a lighter and more powerful alternative to any of the other racing cars at the time. After strolling amongst the historical cars, you enter into the red brick building to find the Maserati factory. The antiquated exterior contrasts the modern interior. Wander through the assembly line with your guide, finding the team wheeling the Maserati GranTurismo frames into the factory to begin the building process. Loudspeakers fill the warehouse with Italian pop music. The workers work, talk, dance, and laugh while attending to the intimate details of their work. 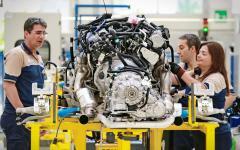 In the adjacent building, you find staff members attaching the engines to the transmission and suspension packages. 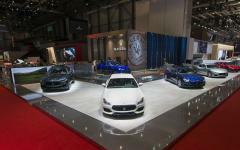 After the tour, you climb into the driver’s seat of a brand new Maserati. The leather is cool and comfortable against your back. 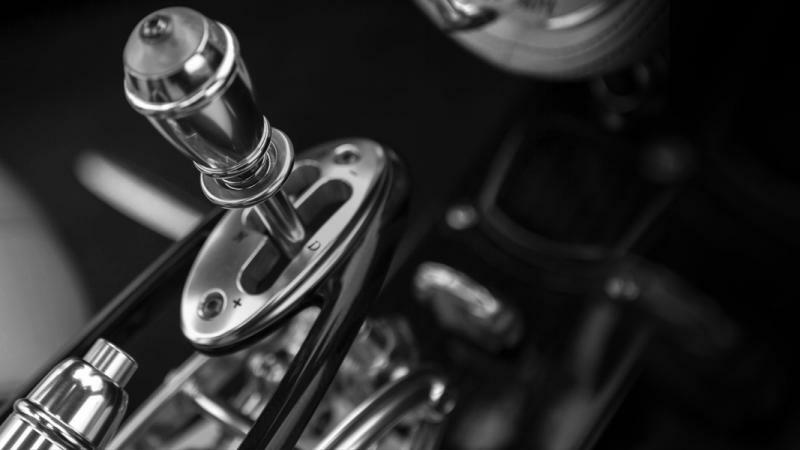 The gearshift is polished and shines beneath the sunlight piercing the windshield. The engine roars to life, and you take to the rolling hills of the Emilia-Romagna countryside dividing the Apennine Mountains and the northern plains. In the morning, the aroma of espresso emanates from the cafes, complementing the rich aroma of fresh brioches drifting from the bakeries inside the modern structure housing Mercato delle Erbe. After breakfast, your guide greets you at the hotel and escorts you to the Ducati Factory for insight into how engineers and designers turned a motorcycle into an icon of power, speed, and style. Enter into the museum first to find a timeline encompassing the legendary motorcycle’s 90-year history. The first gallery gives you a perspective into how the Ducati Company began as a radio component producer, despite repeatedly being bombed during World War II. After Italy’s liberation, Ducati shifted their focus from radios to motorcycles, manufacturing its first engine in 1944. The small engine turned a bike into a motor scooter, with four strokes, two gears, and the ability to reach more than 30 miles an hour. Wander through the timeline of bikes on display before entering the factory. 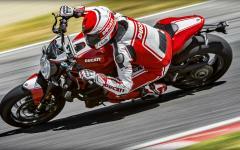 The staff works diligently on the line to produce the perfect Ducati motorcycle each time. You can meet the workers along different assembly phases, listening to the tinkering in the factory that echoes against the walls. 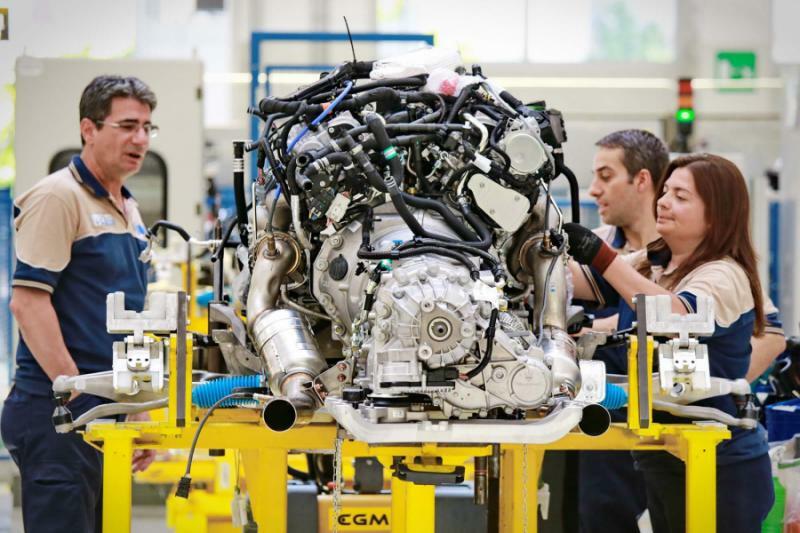 You learn about the process of building the engine from start to finish, ensuring each part is accounted for along the assembly line. They test the torque, clutch, and gear duct along the way until the engine is complete. The tour ends on the racetrack. The wrench is Bluetooth-enabled to give the engineer an immediate measure as to the amount of torque being applied. 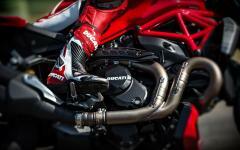 A professional driver revs the engine to showcase the power of one of the Ducati bikes available, the Testastretta 11°. You mount the bike and can feel the way the engine purrs beneath you. Your driver revs the engine once more, causing the bike to rumble. The Testastretta 11° optimizes operation while reducing the combustion cycle, making its 821cc engine faster and more efficient. You speed along the track, holding tight to your driver with the wind rushing over your helmet and past the sleek, aerodynamic design of the motorcycle. Cuisine around Emilia-Romagna has captured the hearts and stomachs of locals and visitors from around Italy and across the globe. The markets return to their most active in the morning with fresh marlins and prawns from the Adriatic Sea offering delightful flavors to a family’s dinner. 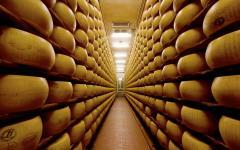 Your tour of the day focuses on the famous gastronomy of the region, beginning with the flavors of celebrated Parmigiano Reggiano cheese, also known as Parmesan cheese. You travel to a private farm to meet the owner and operator of the dairy. Cows graze on the vast grasslands outside of Modena. The herbaceous scent swirls in the breeze. Your guide leads you through the process of making Parmigiano Reggiano cheese. After milking the cows, the milk rests in large vats overnight. You watch as the staff heats the milk and separate the curds from the steaming liquid. The cheese maker lets the curds cool before straining the cheese through cloth with precise movements. 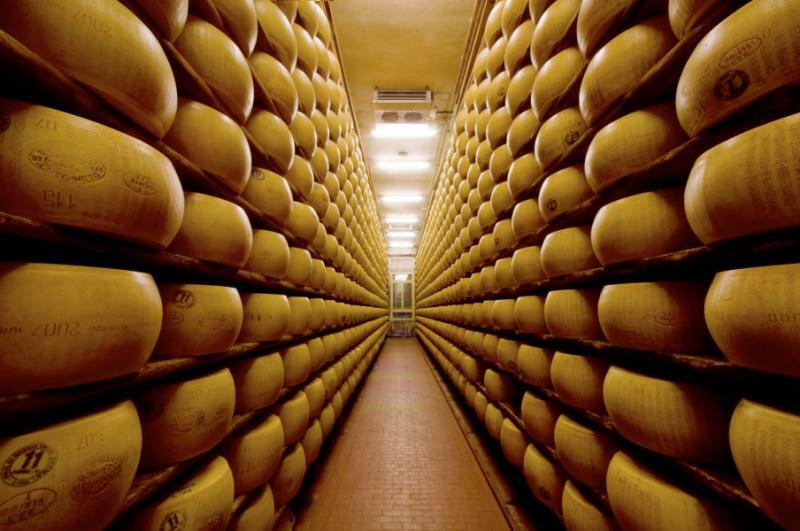 You enter into the warehouse at the end of the tour to find rows of aging Parmesan in the iconic cheese wheels. The cheese maker finds a wheel that has been immersed in a water and salt bath before knocking against the hard edge of the rind to hear how the cheese has matured. He cuts open the wheel and offers you a taste of the hard, crumbling cheese to find a savory, luscious flavor reminiscent of the landscape outside of Modena. 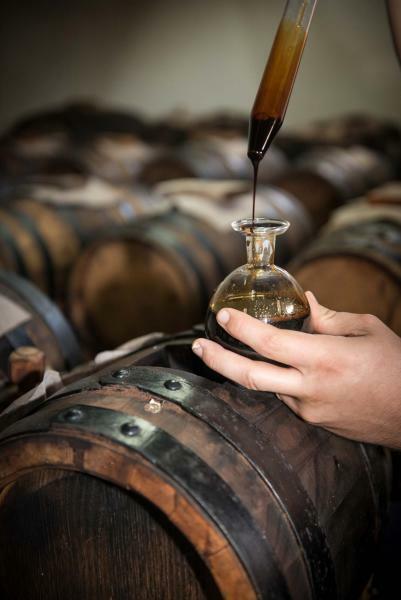 You continue to a balsamic vinegar factory known as an acetaia. The producer greets you warmly and welcomes you into his factory to guide you through the process of making balsamic vinegar. The sweet molasses-like aroma of the vinegar permeates the air in the cellar, where the balsamic ages for up to 50 years, treating the celebrated flavors like sought-after wines. The style and power of Ferrari have spanned more than a seven decades to become a powerhouse of Italian racing and an icon in the beauty of motorsport design. 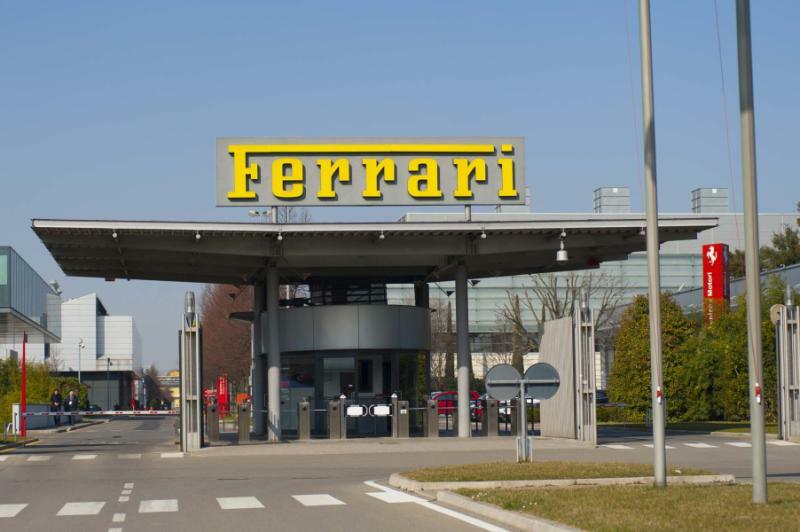 You pass through the drifting aroma of espresso, emanating from the corner bars and outdoor cafes of Bologna to reach the Ferrari museum and factory in the town of Maranello, just outside of Modena. The complex has produced the captivating cars since the 1970s. 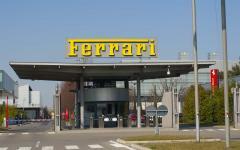 You enter the museum with your guide to explore the history of Ferrari, which produced its first car, the 125 S, in 1947. The prancing horse emblem embodies the elegance of the cars that continue to make automotive history on streets and in circuits around the world. Step out of the Ferrari timeline and into a Formula 1 simulator for an unforgettable experience in the Grand Prix. Strap yourself into the seat, hold tight to the wheel, and watch as the street envelopes your view. You can practically feel the rush of the wind as you maneuver the car left and right around the simulated streets. The marvels of the museum continue with a pit-stop experience. You can try your hand at being a part of the pit team, donning the pristine gloves and feeling the tingle of excitement when you are called to perform your duty with speed and precision. Replace the single front tire with your teammates as fast as possible, feeling the adrenaline rushing through your fingertips, with each second of utmost importance. A photographer captures your time on the team, memorializing the moments you helped to achieve victory. At the end of the tour, you open the doors to a 2016 Ferrari F12berlinetta, with a V12 engine and 731 horsepower. The work of art reaches 0 to 60 in just over three seconds. The dramatic design has an exciting, sleek body meant for efficient aerodynamics, Ferrari luxury, and a customizable in-cabin experience. You take off into the countryside of Emilia-Romagna to enjoy some private time in the F12. 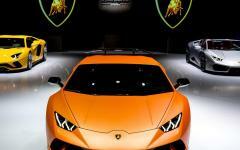 The prancing horse of Ferrari gives way to the charging bull of Lamborghini. After breakfast, the scent of freshly baked brioches continues to drift out of the hidden bakeries of Bologna. 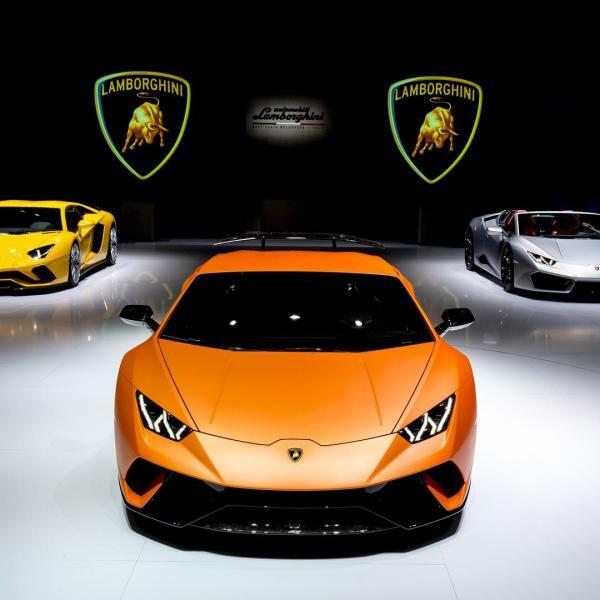 The historical arcades around the city center contrast the style and modern achievement of Lamborghini and its famous Taurus logo. 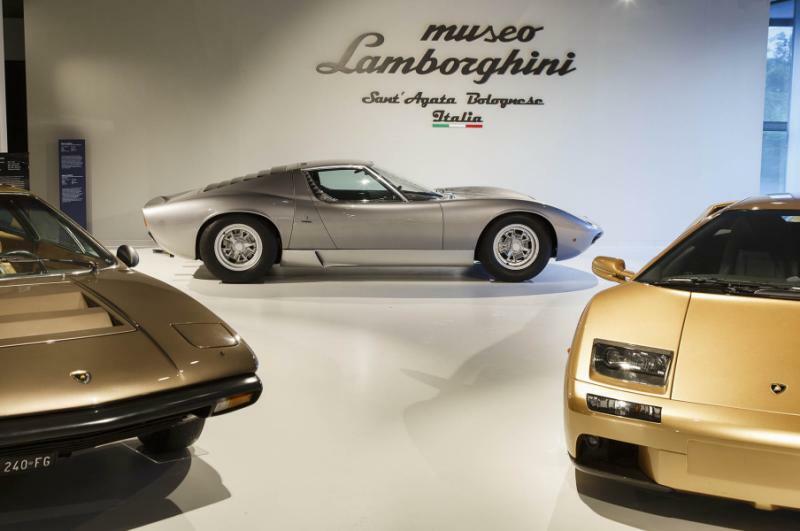 The thrills of the day begin at the Lamborghini museum for an immersive experience beginning with the company’s early successes in the early 1960s. Large windows offer a background view into the factory, which frames the vintage cars on display across two stories. 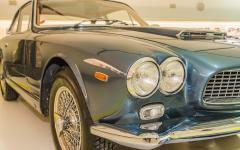 The gleam in the interior stretches over the polished hoods of the antique cars. 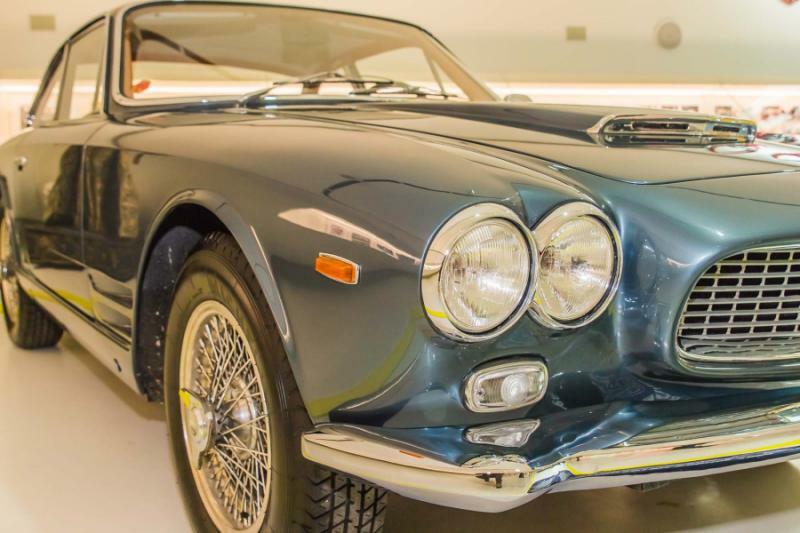 The cars have been immaculately preserved, even with over 50 years of use, and many of the vehicles are a part of the founder’s personal collection. Your guide explains the beginning of the company when Ferruccio Lamborghini became frustrated with the clutch of the Ferrari he owned. 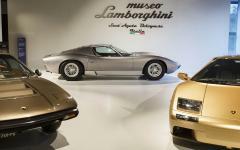 The former tractor company owner used the money from his successful business to build a V12 engine, starting the luxury car company of Lamborghini with a 350 GT on display in the museum. The racecars decorate the second story where the windows look down onto the factory floor. You continue through the shop to watch the production line and see how the stunning cars are built. Customized leather drapes the seats, complementing the intricate design of the interior. You can watch an engineer move step by step through assembling a V12 Aventador. Explore the power and sleek style of the newly formed Lamborghini around the countryside of Bologna, settling into the smooth comforts of the meticulous details that were measured during assembly. 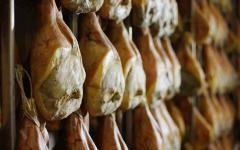 You continue into the countryside to visit a farm known for producing the famous flavors of Parma ham, also known as the delectable tastes of prosciutto. 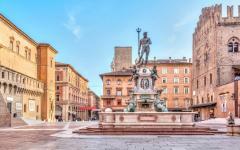 Today you focus on the gastronomic flavors near the heart of Bologna. The morning returns the youthful ambiance to the city known lovingly as La Grassa, the Fat One. University students sip cappuccinos in a popular cafe and nibble at pistachio biscuits. The markets brim with fish brought from the Adriatic and delectable cheeses brought from the countryside. Your guide meets you at the hotel after breakfast and escorts you to the Mercato delle Erbe, a vibrant produce market where many local Bolognese shop. You find stunning seasonal vegetables, from eggplants in the summer to artichokes in winter and zucchini flowers in spring. The scent of citrus emanates from the pyramid mounds of oranges and lemons. You sample a soft, crumbly cheese made from sheep’s milk to find a delightful burst of tanginess. 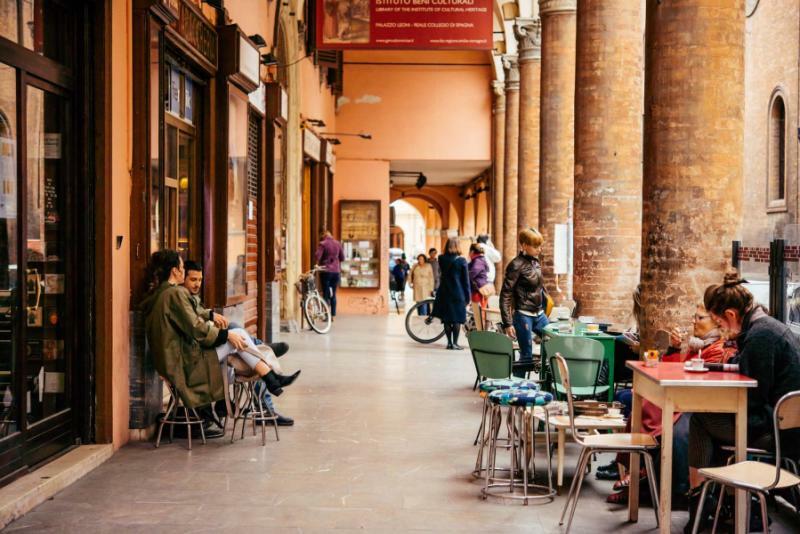 After selecting your ingredients, you walk to a private kitchen to learn the art of traditional cuisine beyond the pasta you made your first day in Bologna. You craft handmade gnocchi and tagliatelle pasta with a 38” rolling pin. The scent of garlic drifts out of the pot in which you let the broth steep. You watch the friggione, a side dish of potatoes, peppers, and tomatoes, reduce. The sauce of white onions, olive oil, and tomatoes bubbles, nearly ready to top the polenta. 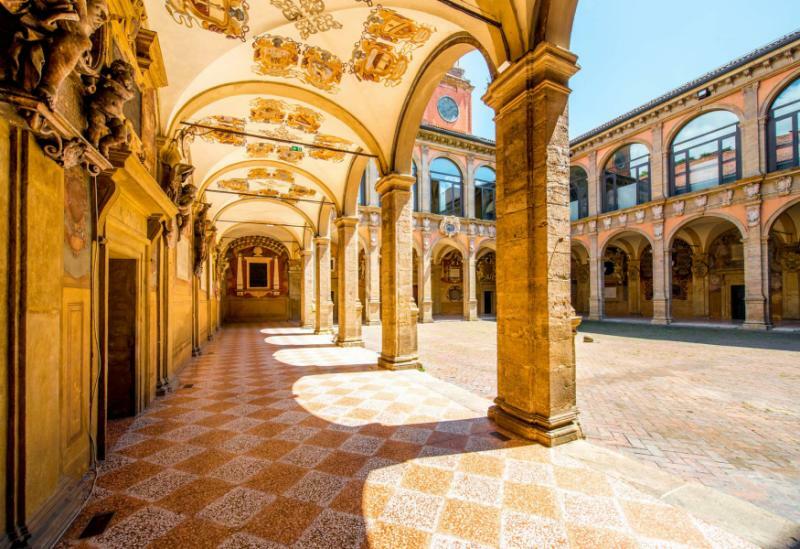 After a delicious lunch made by your hand under the guidance of your instructor, you continue your in-depth exploration of Bologna with a private tour beginning in Piazza Maggiore and culminating in the famous 12th-century leaning towers of the Isolani Court. You wake up with the flavors of Bologna lingering on your mind and palate. The intricate craftsmanship of the cuisine has inspired you and noticeably carries over to all aspects of artistic life in the region of Emilia-Romagna, including car production. After a traditional breakfast balancing the rich taste of espresso with a sweet brioche, you make your way by private driver to the Pagani museum and factory, located in San Cesario sul Panaro near Modena. The fence bordering the contemporary building opens. The sunlight glints off the upper windows set beneath the flags of flying nations crowning the rooftop. The showroom contains a Pagani Huayra and Zonda R.
The latter was produced between 2009 and 2011 with a 6.0-liter M120 AMG V12 engine that could reach speeds up to 218 miles per hour, with only 15 cars produced in total. Your private guide offers an introduction to the cars on the showroom floor by opening the doors and unlatching the trunk. The rear of the body lifts as if opening the flap of a spaceship to reveal the engine, along with the gas tank. Enter into the smallest section of the garage, where the workmen place the carbon-titanium panels onto the Huayras. The strong material is surprisingly light, allowing the car to move faster along the open lanes. The engineers and designers are artisans and craftsmen, making a work of art mostly by hand similar to how sculptors use tools to erect breathtaking pieces from stone. A row of cars allows you to view the progress of the assembly, from a body without an interior to the one with an engine, suspension, and wheels. 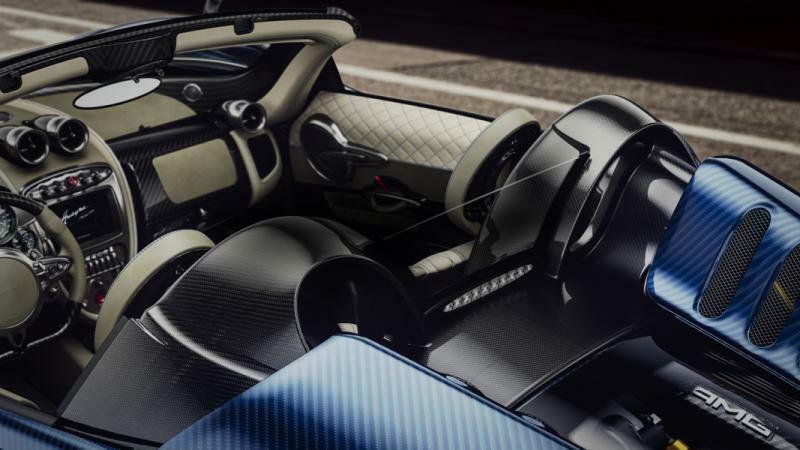 Back in the showroom, you can’t help but rub your fingers across the sleek display of the Zonda R, finding a mixture of finesse and power similar to an artistic masterpiece. Your guide explains that Pagani has fewer than 60 employees who help make 15 to 20 cars each year. In the morning, the sunlight washes over the nearly 160-foot tall Garisenda Tower, which leans more than 42 feet from base to top. 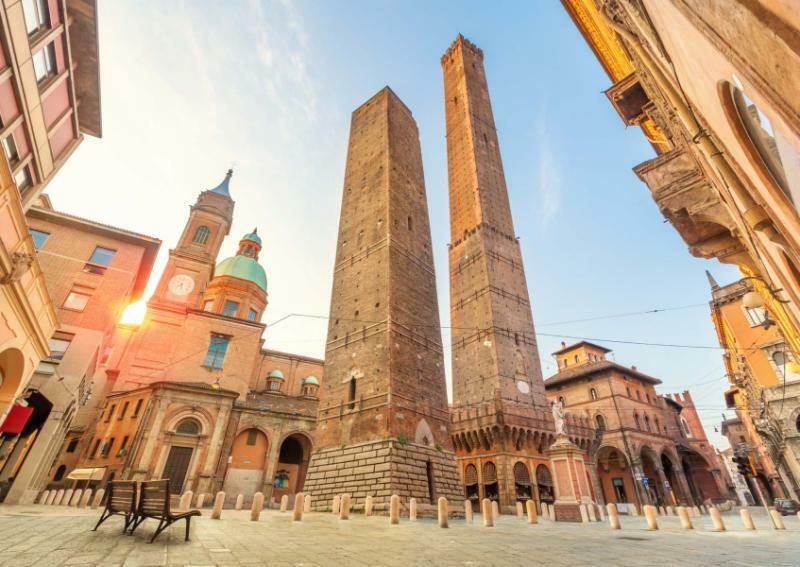 The tower was built as a status symbol as well as for defensive purposes and continues to adorn the Bologna skyline. The esteem of Italian design has progressed over nine centuries, embodied in the artistic sensibilities of clothing and the fashionable styling of Ferrari, Lamborghini, and Maserati. After breakfast, you venture to a private racetrack connected to Ferrari. The course leads you on a one and a half mile circuit with five total laps. 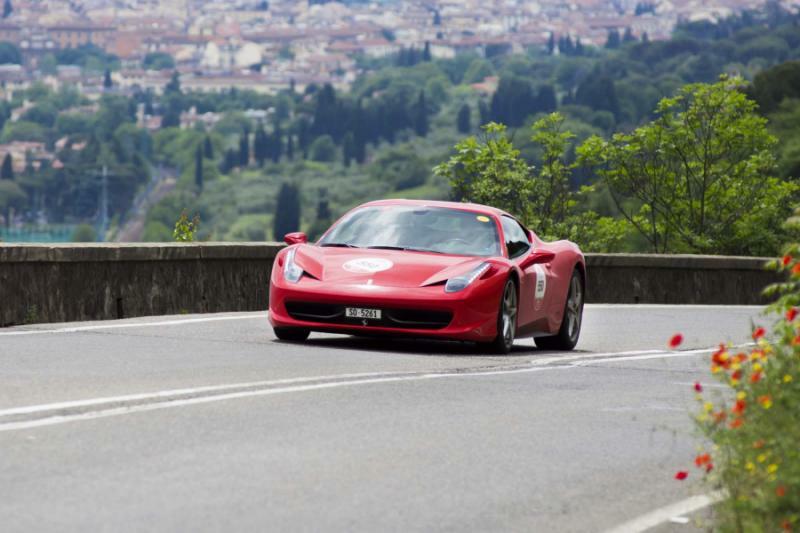 You get into the Ferrari 458 and rev the V-8 engine to hear it roar. 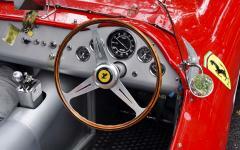 The racecar was designed for the track, speeding from 0–100 km/h (62 mph) in 2.9–3.0 seconds. You grip the wheel tight, feeling the subtle give of the warm leather. You take the car out of the paddock, past the pit lane, and onto your designated lane. A video records your moves. You rev the engine once more, watch for the countdown, and punch it, eager to top out at 340 km/h (210 mph). Even at high speeds, the car moves smoothly. The walls along the edges of the track turn into a blur. The power of the 570 horsepower spurs you on, shifting gears around the sharper turns and opening it up along the narrow straightaways. You pull the car back into the paddock with your heart still racing with excitement. The engine’s roar has diminished to a lingering purr as the car settles to rest. The video recorded your time and best moves from an outside perspective, allowing you to relive the moment. A local café places tables and chairs along the narrow cobbled lane near Piazza Santo Stefano. The pastries and cakes in the window offer a delightful display of the sweet treats, perfectly accompanying a decadent espresso. At breakfast, you can’t help but think about the beauty of the refined power you held in your hands while tearing through the racetrack in the Ferrari 458 the previous day. It reminds you of the villages you passed while roaming the country roads in the Maserati and the roaring force you felt rumbling through your legs while on the Ducati. 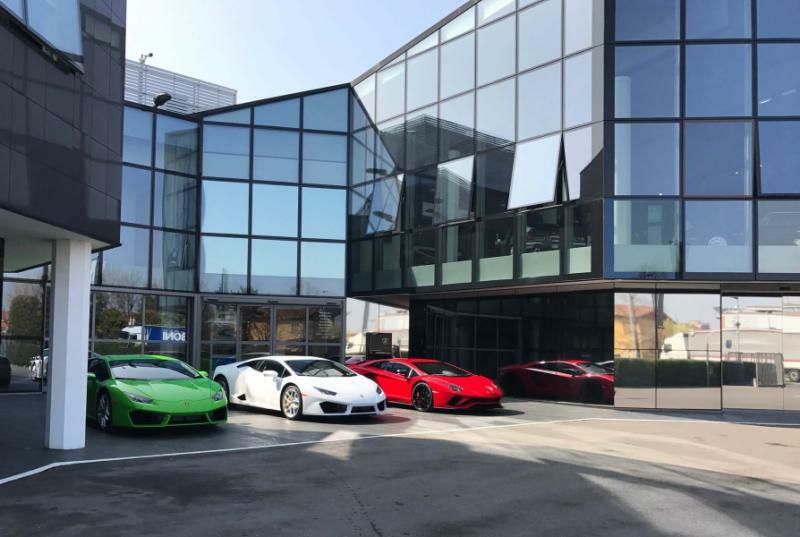 You have discovered the tasteful charms of Emilia-Romagna, from the artisanal cuisine to the focused craftsmanship of Maserati, Ducati, Ferrari, Lamborghini, and Pagani. Your private transfer greets you at the hotel when you are ready, and escorts you to Florence Airport for your flight home. ​​The customized package will include accommodations, airport transfers, guided tours or activities, unique experiences, trip planning, and 24x7 support during your trip.